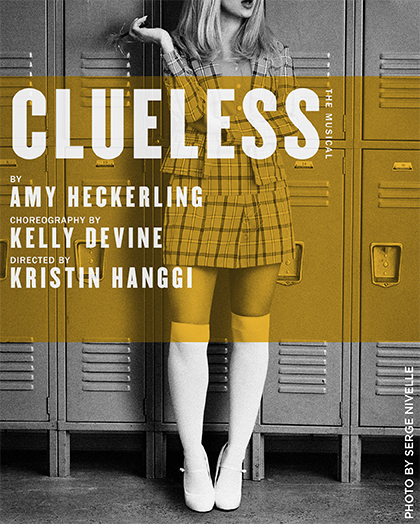 Join us on Monday, January 7 at 7:30pm with special VIP tickets to Clueless, The Musical! This sold-out, limited engagement must close on January 12 and you’ll be totally buggin’ if you miss it! Snag specially-marked Benefit Tickets on Monday, January 7 for the best seats in the house and exclusive swag. Proceeds from the benefit will support our New Group/New Works program which acts as a creative incubator to discover, nurture and present new plays and musicals each season. Can’t Make the Date? Join the Patron Ensemble for exclusive access to Premium House Seats to Clueless, The Musical and the rest of our 2018/19 season including “Daddy” and Yea, Sister! (even if they are sold out) plus the first show of our 2019/20 season. Patrons also receive concierge service for easy booking and exchanges and invitations to events throughout the season. Your tax-deductible donation will support all of The New Group’s play development and education programs. Benefits begin at $1,000. For questions or to purchase tickets by phone contact Justin Samoy at 212-244-3380 ext 305. Tickets include a tax-deductible donation to The New Group. Benefit Tickets include $95 in goods and services. All sales final.